Are you planning to remodel your Claremont home? The decision to remodel a home, or even just a kitchen or bathroom, is a big one. Perhaps you are heading into a remodeling project after purchasing an older house in Claremont, or maybe you’ve desired it for a long time but lacked the time or resources to start. Either way, now that you're ready to move ahead with a project, the first thing to do is research and interview contractors. It is important to take your time with this step, even if you feel anxious to start. If you hire an inexperienced or dishonest contractor, the job could end up costing more than you anticipated. Make sure you are dealing with a professional. A legitimate Claremont remodeling company must have California state licensure and carry an adequate amount of insurance. The person you speak to should be able to provide the business's general contractor number as well as the name of its insurance company. If he or she can't do this, stop the interview and move on to another company. You should ask how long the remodeling company has been in business. While newer companies can provide good service, those that have been around for several years have a proven track record. The remodeling company you choose should be proud of the work it has completed for other clients. If the person you meet with doesn't bring along pictures of completed jobs, you should ask to see some. A quick visit to online construction portfolios can also give you a sense of a contractor's work. You may wish to ask for references from previous customers in the Claremont area. If you do choose to call a reference, it is a good sign when he or she would use the same remodeling company again in the future. Make sure you have a good understanding of expectations. A construction crew will be in your house almost daily, so you should know who is going to work on your kitchen or bathroom and be aware of their typical schedule. Before you sign a contract, make sure that you have a clear idea of how long the project is going to take. You should also understand how much you are going to pay and under what circumstances the amount might change. Don't be afraid to ask for an estimate. It is generally recommended that you get at least 2-3 bids for comparison. This information is useful when it comes time to compare contractors and decide who to hire. Finally, be certain that you know when you should remit full payment. 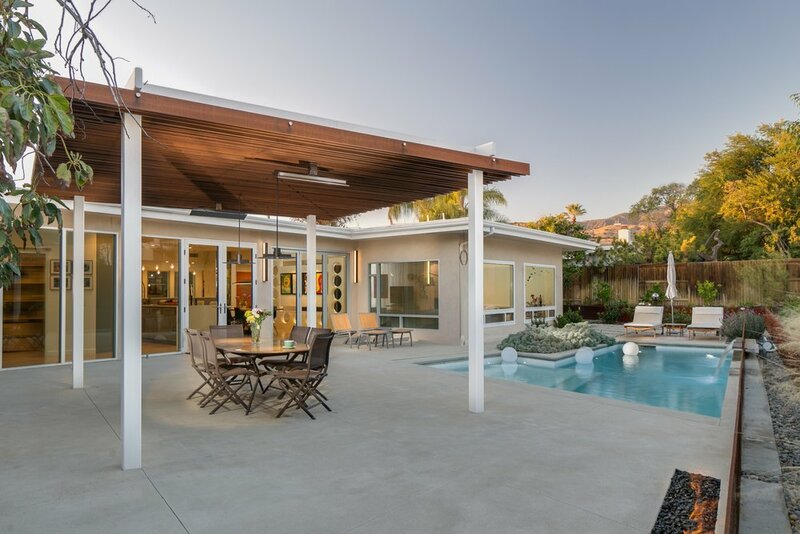 Learn more about Lotus Construction Group of Claremont, California. Founded by award-winning Master Craftsman Mark Ashworth in 2011, Lotus Construction Group is one of the most respected design-build firms in the San Gabriel Valley. We strive to provide a personal and unique remodeling experience imbued with a commitment to professionalism and craftsmanship. Our entire process is based on communication, honesty and trust. We focus our talents on residential renovations, restorations, additions and new homes for insightful homeowners who are looking for a thoughtful and considerate approach to remodeling. When it comes to remodeling your home, we understand that your primary goal is to create a beautiful, functional space. Doing so requires engaging a contractor with superior skills and talent at every stage of the process – from design through construction. Lotus Construction Group employs gifted designers and craftsmen who will work with you to elevate your home to perfectly suit your style. 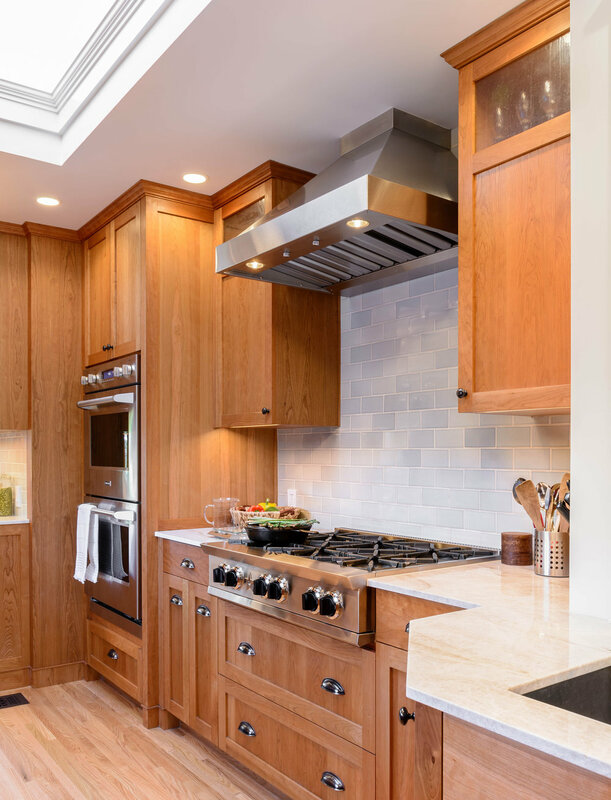 Over the years, we have designed and built kitchens of all styles, from historical turn-of-the-century - to mid-century modern marvels - to contemporary masterpieces. Our design-build approach helps us hone in on our client’s specific needs and desires, enabling us to create a work-friendly kitchen that fits within the home's architectural context. Our bathroom designs range from efficient powder rooms to master bathrooms and spa-like retreats. We have extensive experience with all styles ranging from traditional to modern. We are passionate about designing built-in features with creative storage spaces such as walk-in closets organized to suit your every need for organization, hide-a-way cubbies for charging your phone, entertainment centers incorporating cable management, and pull-out spice racks, to name a few. Built-ins are essential for de-cluttering our modern lives, and the exciting part is that we design them tailor-made to meet your specific day-to-day needs. Our whole-house remodels strive to achieve a consistent flow and cohesive design, while complementing the architectural context of the entire home. Uniting the interior and exterior of your home is one way to create a seamless connection between indoor and outdoor living spaces. We design and build exterior spaces that will enhance the lifestyle of the Southern California homeowner. Our exterior and landscape services are second-to-none, focusing on sustainability and exquisite design. Whether you are looking for California natives or lush plants for a drought tolerant yard that will thrive in our low water environment, Lotus can help guide you through the maze of plant selection, ground cover material, and intelligent irrigation methods. Pergolas and trellises are popular features in many exterior spaces. We take great pride in designing amazing, useful, one-of-a-kind covered spaces to enhance your outdoor entertaining experience. Custom fire pits are a great way to further enjoy your exterior space in cooler weather. We think outside the box when designing and constructing these outdoor features. Budgets - everybody has them. A common obstacle to effective remodeling projects often results when contractors immediately jump into advanced design and contract creation, with little or no thought for budget constraints. The result is frustrating for homeowners who love the design, but realize they are unable to see it through. We eliminate this heartache by conducting a Design-Build Analysis, wherein we evaluate the project's potential for success, with minimal investment. We do this prior to beginning advanced design development, technical development, and project implementation. When it comes to complex projects like custom homes, additions or whole-house remodeling, Lotus Construction Group uses cutting edge materials and construction techniques, and offers innovative ideas executed with flawless precision for seamless flow and timeless design. We would love to visit your home to discuss how we might create a comprehensive Design-Build Analysis, specific to your project's needs. If the process sounds enticing, call (909) 621-1558 today to schedule a complementary appointment. Whether this is your first visit to our website, or you have been visiting for a long time, we would like to say “hello” and tell you a little bit about ourselves and how we do things here at Lotus Construction Group. Something or someone has brought you to our site - a recommendation from a friend, our sign in the neighborhood, or an internet search. So, we’d like to let you know a little bit about what makes Lotus so different, and we think, better than the way the home remodeling industry typically works. On our website you've taken a look at Our Approach, our Talent and Portfolio, Raving Fans and Design Build. Now you want to know what it’s like to work with us. From the first time we meet with you, all the way through to the end of your project, and well beyond, we think of your house in the same way we think of our own homes. Your home is more than a collection of doors, windows and walls; it contains the spaces where you dream, where you entertain family and friends, and where you feel most safe and secure. When you invite us into your home, we consider it a privilege and a welcome responsibility, and we have maintained cherished friendships with our clients long after the completion of their projects. Our process is designed from the onset to involve you, the homeowner, and we consider your input to be one of our most valuable tools. We begin with an initial conversation about what your remodeling needs and goals are. From there, we put together a proposal that describes everything we are going to do to get you to the design you want, and an accurate estimate for that design. Then, the fun begins! The Design Build Analysis allows us the opportunity to take the information and ideas you have given us that are important to you (i.e., design, materials, budget and schedule) and prepare a set of drawings and plans of the designs that fulfill your dreams. Once you are happy with the design, we create a thorough and accurate cost estimate. Our estimates are lengthy, as they provide you with detailed line items and the cost for each line item, as well as the cost for the materials and hours of labor to complete your project. There is very little ambiguity in our estimation process. We then spend the necessary time going through all line items with you to make sure you are as informed as possible and that you are satisfied all your questions have been addressed. At the conclusion of the Design Build Analysis, we provide you with a valuable document that gives you an accurate and detailed cost estimate for your project. 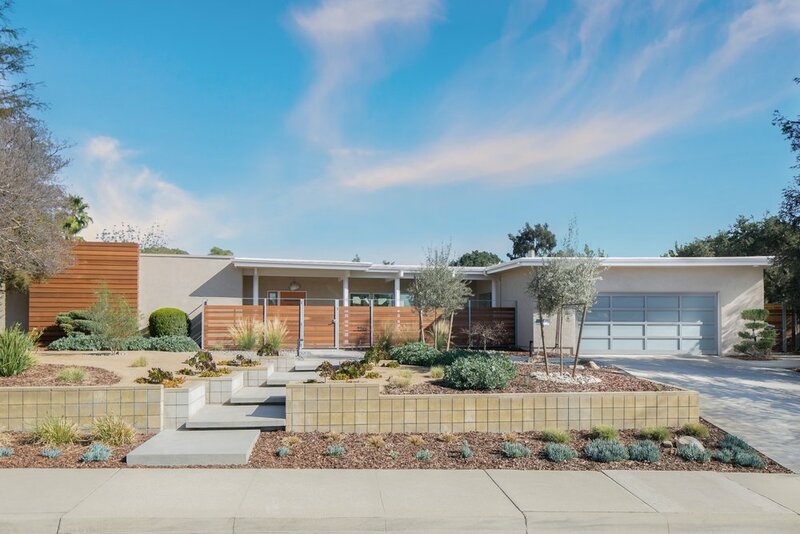 In short, the difference at Lotus is that we take a well thought out and complete approach to your remodel or addition needs and goals, thereby providing you with a positive experience and seamless project. So, come back and visit our website and our blog to find out more about who we are and how we do things differently – the Lotus Way. © Copyright Lotus Construction Group.